An example for the genre. A lot has been talked around that game. Its development could have been just stopped countless times, from the first betas to the last patch in early 2017. It didn't and it resulted in one of the most well-designed fighting game ever made. * The game is inspired by the Marvel VS Capcom series, especially MVC2. * A cast of 14 very different characters, that has been designed to work on teams, but still have all the tools to be full-fledged characters, even in a 1v1 situation. 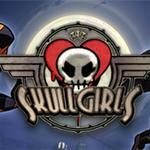 A lot of people within the FGC will put Skullgirls as the most balanced fighting game ever made. * The whole atmosphere gravitates around a 1940's USA, with Jazz themes for the OST. A universe rarely explored by fighting games. * One of the only game that can claim to not have infinites, thanks to the Infinite Prevention System, that grants the opponent a Burst, when you did a looped combo. * The Drama bar, or Undizzy, also grants you a Burst, when the combo became too long. * Those 2 mechanics forces the game to be Reset-based. (Reset: a purposely broken combo that leads ton an immediate follow-up. It has the property to "Reset" the damage reduce of a move, which can lead to massive damage, if it's done correctly.) It can be risked, because if your opponent guesses correctly your reset, you will quickly be punished. The whole meta gravitates around that fluid risk/reward situation. * The game features a classic feel within the controls. It's a 6-button game with quarter-circle and charge motions, just like your usual Capcom games. A lot of the features within this game were glitches, back in Marvel VS Capcom 2. Like the infamous Double Snap, which has been balanced in the game. * The whole UI and HUD was competition-focused. It's the game that can have the fastest setup-time, thanks to the Tournament Mode. Everything was thought about to make every players comfortable and making them focusing to the match ahead faster. * The netcode is GGPO. A netcode specifically made for fighting games in mind. Rollback-based netcodes like GGPO are based on making the players feeling like they play offline. Instead of delay-based netcodes, that can have a latency between the moment you press a button and when it'll be activated in the game. This is a great example of how a game can turn, when people puts the passion in it. The lead programmer and lead designer of the game, Mike Zaimont, is a veteran fighting game player. His 20 years of FGC experience helped him tuning the game to where it is today. A lot of beginners thank him for making Skullgirls, a technical game that still has some accessibility in it. Enough, so that a lot of players could understand how fighting games work in general. It's not an unanimous thought, tho. A lot of people discuss the arbitrary decisions of Mike Z. Others despite the look "too much Indie and cartoon-esque" of the characters. It's also the only game I know off that had both sexism and censorship accusation. Despite all that, the game still inspired a lot of fighting game developpers on their own UI and gameplay mechanics. Tons of big games like Tekken or Injustice displays Tournament Modes, made for competitive play. It's a great example of a game people don't necessarily hear about, but has influenced a lot within its own genre.